There's a brand-new Japanese cafe in town. Located at 561 Valencia St. in the Mission, previously home to Bar Tartine, Stonemill Matcha features Japanese pastries, matcha drinks and artisanal ceramics. 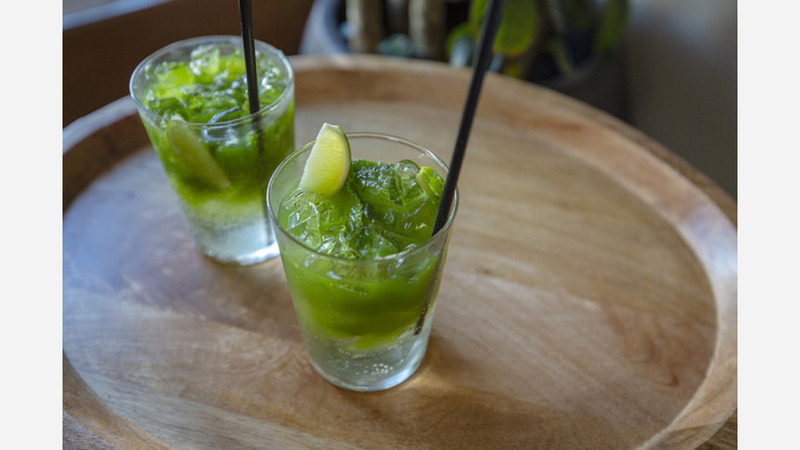 Inspired by the Japanese tool used to grind matcha, the new spot offers "shade-grown matcha from Kyoto's lush farmlands to the bustle of San Francisco," the business writes on its website. 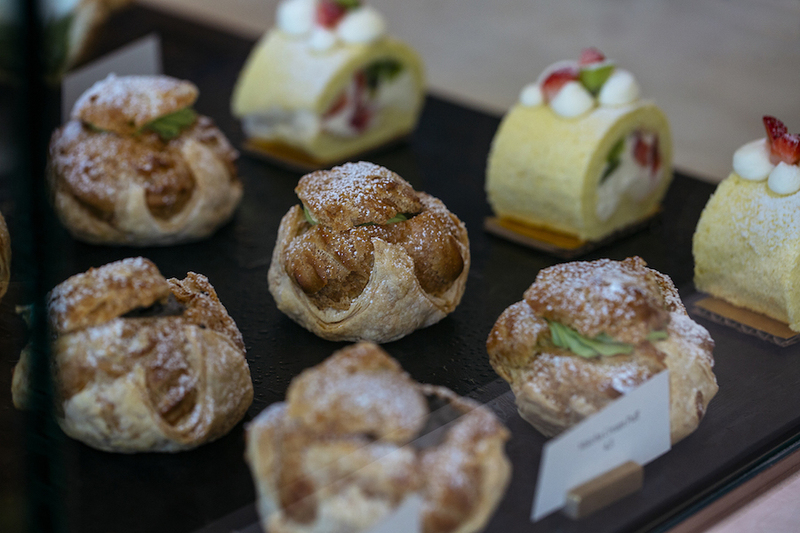 Sweets are made in-house by pastry chef Mikiko Yui (State Bird Provisions, Coi), while pastries come via Tartine Manufactory, Stonemill says in a press release. On the menu, look for a generous selection of matcha and brewed tea, as well as food options like miso soup, toast with matcha butter and jam, and chicken with rice porridge. With four stars out of 19 reviews on Yelp so far, the newcomer is getting solid feedback from clientele. "A lot of their baked goods come from Tartine, but that's not what will keep me coming back," wrote Yelper Mandy W. "Their sparkling matcha with yuzu had great flavor, and their ginger matcha latte was so smooth." Yelper Natasha B. noted, "The decor was clean and modern. Love the blue storefront. There was a mix of groups of friends, couples, and young families enjoying the treats. The eats are extremely aesthetically pleasing. Would recommend to a friend." Stonemill Matcha is open from 8 a.m.-6 p.m. daily.